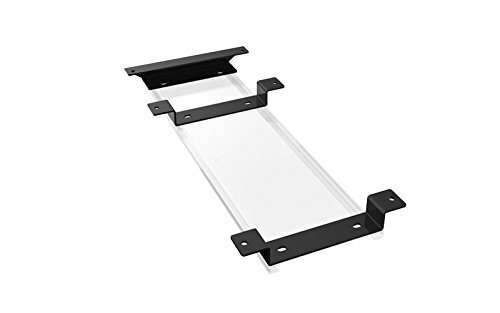 Glide Track Accessory That Provides 1", 2.2" Space: ESI Ergo SPACERKIT-KBD (1 Glide Track Spacer) Ideal for Height adjustable tables and Benching systems, the Spacer-Kit creates a flat mounting surface for keyboard arms and glide tracks where cross channels typically prevent installations. Compatible with most ESI keyboard arms and glide tracks, Attaches between underside of worksurface and a keyboard arm or glide track, Includes mounts for benching systems and Height adjustable tables, Powder coated steel construction, 2 sets of spacers included to accommodate needed spacing between 1", 2.2", Includes installation hardware NOT Compatible with CPULOCK. Glide Track Accessory That Provides 1", 2.2" Space: ESI Ergo SPACERKIT-KBD. surface for keyboard arms and glide tracks where cross channels typically prevent installations. If you have any questions about this product by ESI Ergonomic Solutions, contact us by completing and submitting the form below. If you are looking for a specif part number, please include it with your message.